Malcolm J Breener has been getting a lot of press for a book about an ostensibly true romance. 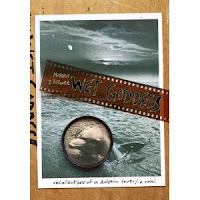 What makes "Wet Goddess" a little different is that his romantic partner (romantic from his point of view, at least) is a captive dolphin. I suspect the Amazon reviews make better reading than the book.